This hasn't been common in modern go. 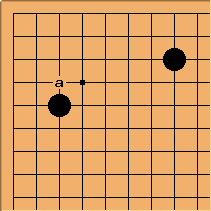 In a game Kamimura Kunio-Tozawa Akinobu 1974-08-20 it was played as part of an unusual mini-chinese variant. White eventually came in at a and lived.